Finally a product I don’t feel guilty about putting on my underarms! I have a whole collection of “natural” deodorants just sitting on my vanity waiting to be thrown away. While I tried them because they didn’t have the harmful chemicals, they also didn’t work all day for me. On active days they would even cause redness under my arms. I was almost ready to give up on natural deodorants. I finally found one that works! 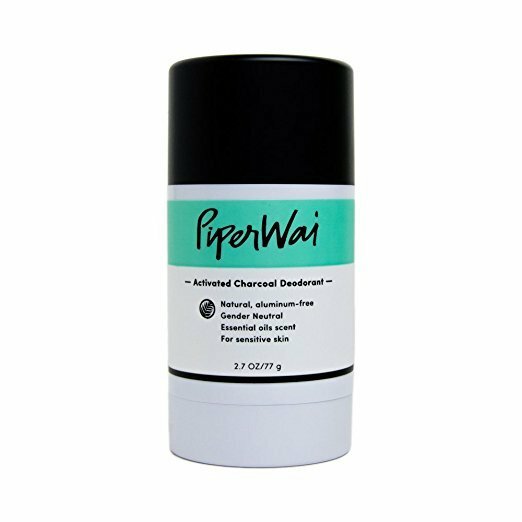 PiperWai Activated Charcoal Deodorant. I can’t say enough about this product. I can use it in the morning and have no wetness or odor all day. I no longer have the guilt of worrying about trapping toxins in my body and adding synthetic chemicals to my lymph nodes. It has a minty smell, so men and women both can use it. It contains essential oils…who doesn’t love getting health benefits while staying fresh!